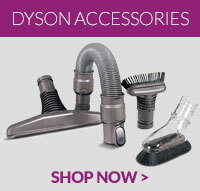 Compatible Dyson handheld docking assembly for select Dyson handheld vacuum models. Alternative t.. This is a genuine spare part to fit Dyson SV06 vacuum cleaners ..
Genuine Dyson stubborn dirt brush tool with stiff bristles for dislodging dried-in and stubborn dirt.. This crevice tool is a genuine spare part to fit various models of Dyson vacuum cleaners .. This item is a genuine spare part for various models of Dyson vacuum cleaners ..
Genuine spare part for select models of Dyson vacuum cleaners. Suitable for cleaning mattresses, ..